Charitable giving to help those who need it can help your tax situation. 1. Can I Donate to Charity This Year for a Tax Deduction Last Year? Taxpayers who itemize their deductions can take advantage of year-end charitable giving to help out causes that are important to them, and save on their taxes at the same time. If you are in the 25 percent marginal tax bracket and give $2,000 to your favorite charity, you will save $500 on your tax bill, meaning the $2,000 donation only cost you $1,500. You must follow the IRS rules for year-end donations and document your charitable giving correctly. Charitable contributions are deductible in the year that you made the donation. For example, if you made a donation on Dec. 31, 2012, that donation is deductible on your 2012 income tax return. If the donation were made on Jan. 1, 2013, you would need to wait until you file your 2013 taxes to claim the deduction. When mailing a check for your donation, the mailing date of the check determines when the donation can be claimed. If you mail a charity a check on Dec. 31, 2012, it qualifies as a deduction in 2012, even though the charity will not cash the check until 2013. When mailing donations the last day of the year, use certified mail to establish the date of mailing. Make sure the check is dated correctly as well. Keep this documentation with your tax files. When making a charitable contribution using your credit card, the donation is deductible in the year that the charity charges your card. If you make a credit card donation on Dec. 31, 2012, and pay the bill on Jan. 20, 2013, the contribution is deductible for the tax year the card was charged -- 2012. If you mail a credit card donation on Dec. 31, 2012, and the charity does not charge the card until Jan. 4, 2013, the contribution is not deductible until you file your 2013 taxes. Always make last-minute credit card donations by phone, online or in person to ensure that you can deduct them in the correct year. You must have written documents to back up any charitable contributions. 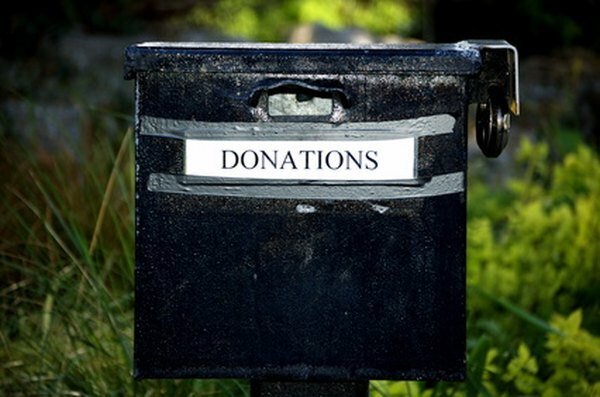 If you donated over $250 to any one charity, you must have a letter or acknowledgment of that donation, including the date and amount of the donation. You may donate non-cash items on Dec. 31, and claim the deduction in the current year. Household goods must be in good-used condition or better. If you make any non-cash donations valued at over $500, you must file a Form 8283 with your tax return.